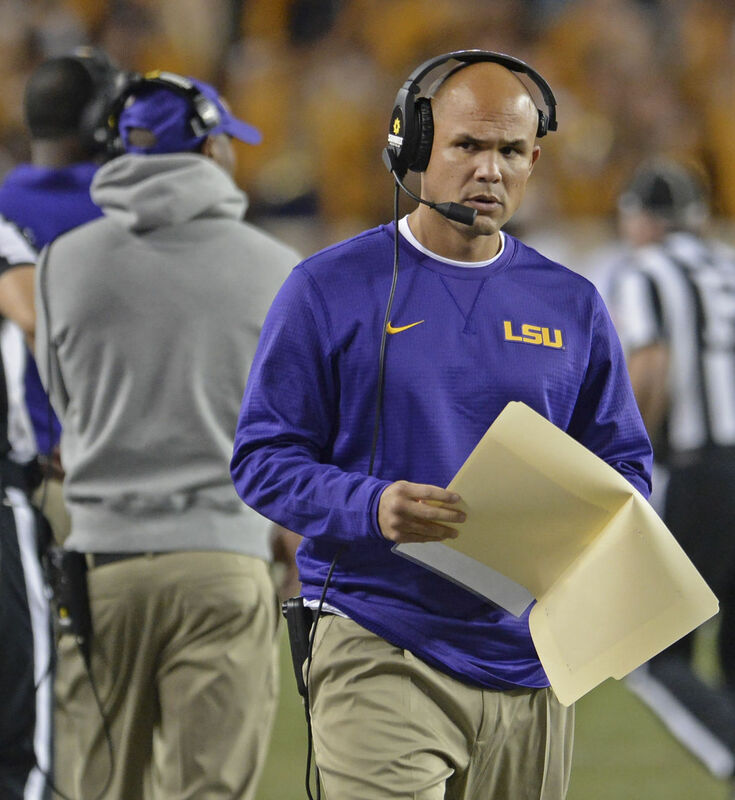 Shirts With Random Triangles: LSU ready to lock up DC Dave Aranda to contract extension. Multiple sources, notably The Baton Rouge Advocate's Sheldon Mickles, state that LSU is ready to offer defensive coordinator Dave Aranda a contract extension to make sure he stays in Baton Rouge. The move would be in response to reports that newly-named Texas head coach Tom Herman might offer Aranda the DC position on his coaching staff. "LSU will sweeten the compensation package for Aranda, a source confirmed, in a new deal that could be finalized soon. The Tigers are moving quick, after Tom Herman was named Texas' coach on Saturday. Herman was part of the Cal Lutheran football program at the same time as Aranda, and reports surfaced Saturday that he'd be interested in acquiring his old college buddy." In addition, reports circulated on Saturday that Orgeron might be interested in trying to lure Alabama offensive coordinator Lane Kiffin away from the Crimson Tide coaching staff. Orgeron was named as full-time head coach of LSU after serving as interim head coach since the firing of Les Miles on September 25.